The store relies solely on donations from the community. To Schedule a pick up of your donation, click here! The Lord’s Place Joshua Thrift Store benefits the organization in many ways. Proceeds from store sales directly support the programs and services of The Lord’s Place. Additionally, it provides an opportunity for formerly homeless clients to complete customer service work experience training in a retail setting. It also helps clients, as they are given vouchers to “purchase” clothing, furniture and other essential items at no cost. 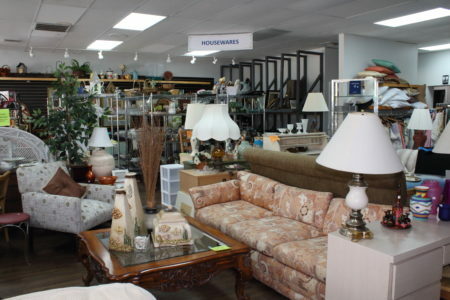 To Volunteer at the thrift store, click here! We also have an online store! To see what we have to offer click here!